If you have ever even once in your life thought you were a bit clever, read this and any thoughts you had of being well read are dashed completely. This book contain 110 short essays on many of the 20th centuries "greatest thinkers,humanists,musicians ,artists, philosophers and several very evil men. From Louis Armstrong, Terry Gilliam, Goebbels,Hitler, Alfred Einstein (a cousin not a typo),Mailer, Freud,Proust through to many I have never heard of (to be honest this is most of the contents) but all are interesting and the essays well compiled. 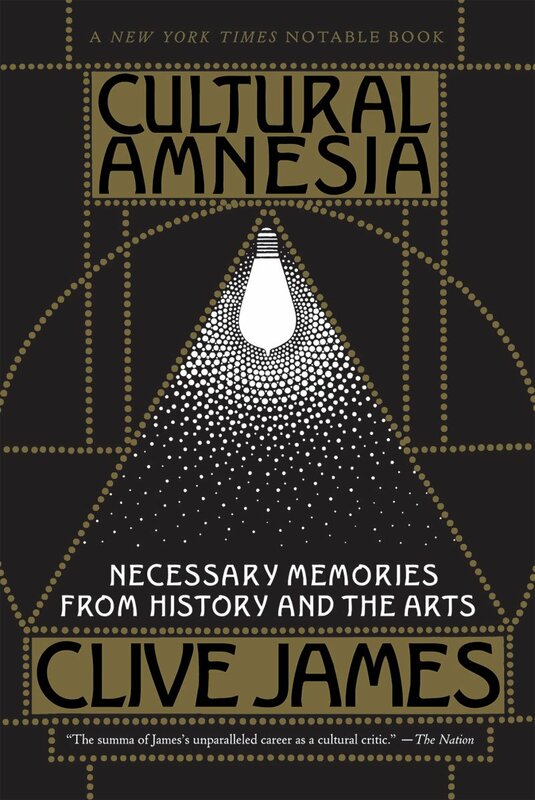 With many of these essays James starts writing about his subject and then segues off into areas you wouldn't think are remotely connected but you find they are and it just opens your eyes further. For its subject matter its an easy read, most of the essays run between three and ten pages, which makes it ideal for dipping into. This is one of the most enlightening books I've ever read and will continue to read. As a fan of long baths this book is now residing permanently close at hand and will cause much wrinkling of the skin while its re-read.